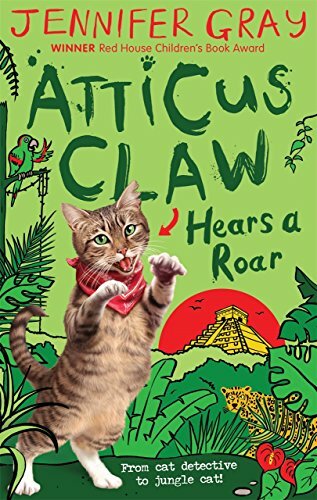 Atticus Claw Hears a Roar on TheBookSeekers. Everyone's favourite cat detective is back! Atticus finds a mysterious case in the attic and inside is a book leading to the treasure of the lost jaguar gods and to a jungle adventure with the Cheddar family.